Hello again all! 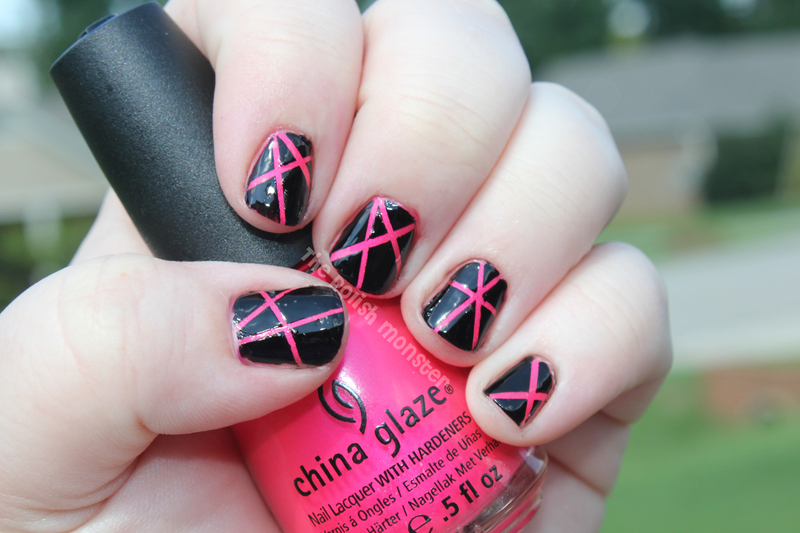 Tonight I have the second part of my Darling Diva polish review- and it’s my very favorite! I have Dangerous Driver and Ringer to show off! These two are both GORGEOUS. For those unfamiliar with Ringer- it’s a dupe of Max Factor Fantasy Fire, which is dupe (ish) of Clarins 230, better known as ‘Unicorn Pee’. Dangerous Driver is a holographic version of Ringer- which just makes it more fabulous in my opinion! Enough talking- on to the pictures! This is 3 coats of Dangerous Driver, outside on a sunny day. The color shift of Ringer isn’t quite as visible in Dangerous Driver because of the spectacular holographic effect. But this polish is jaw-droppingly gorgeous. I think these photos look pretty good, but they still do no justice to this polish. A comparison shot- I took both inside my bedroom; one was in front of the opened window, and the other was under a lamp. 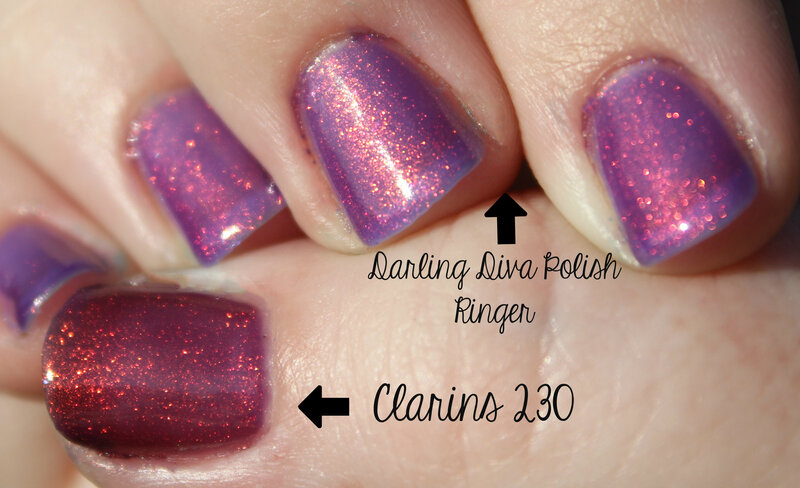 Next up: Darling Diva Polish Ringer! Ringer is a beautiful polish. It is almost a dead-on duplicate to Max Factor’s Fantasy Fire, but just a tad more sheer and lighter if you’re not layering it. This photo was taken with 4 coats, and you can still see a bit of VNL. But none of these colors are really at their best without a polish underneath! Sadly, I had already traded away my Fantasy Fire before I took these photos. I did a swatch comparison, so I can say that they are almost identical (but now can’t find that swatch wheel!). However, the reason I traded off Fantasy Fire… was because I finally got my hands on a bottle of Clarins 230 itself! Ready for some comparison photos?? Here we go! Over black there’s almost no serious visible difference between Clarins 230, Ringer, or Fantasy Fire. Clarins is a bit more ‘vibrant’, but its a subtle difference. Over black, Dangerous Driver’s beautiful color shift is clearly on display along with the beautiful holo effect. And to round off the comparisons, I took photos of Dangerous Driver and Ringer outside in the full sunlight. 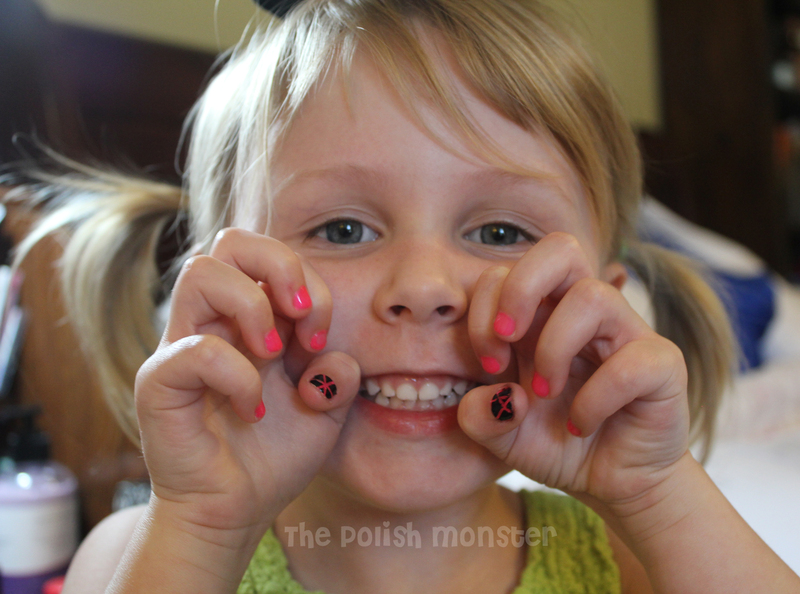 You can find Darling Diva Polish on Facebook, and you can buy her beautiful colors at her Etsy shop. All of her colors are $8.00 with the exception of holo colors, like Dangerous Driver, which are $12.00. And she ships internationally for a reasonable rate! Be sure to check her out! I really feel like Dangerous Driver is a must have- and Ringer is for sure if you haven’t found Fantasy Fire (though you’ll want it if you’re like me and just love having similar colors!). Hello All! 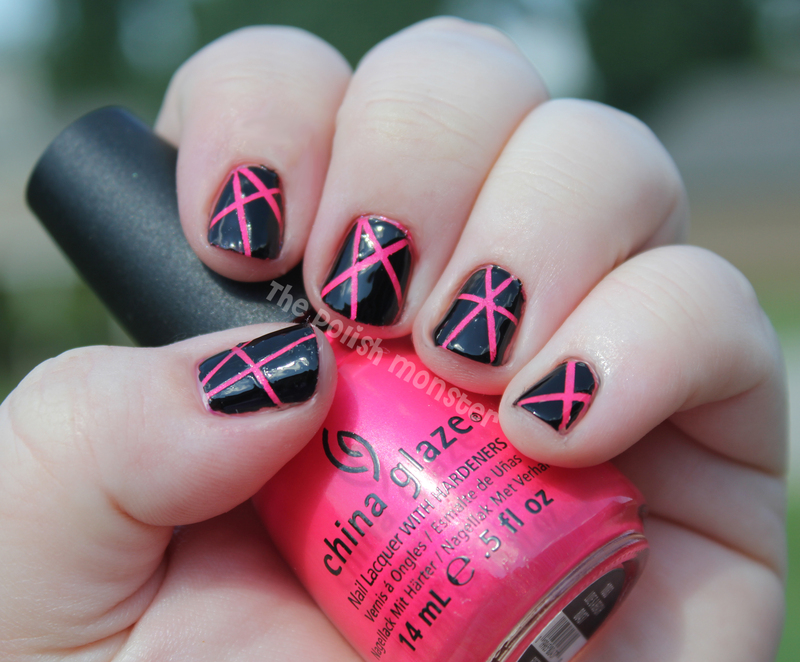 I have a TON of Darling Diva Polishes to show off, so I’ve decided to split them into 2 posts. Today I will feature Cotton Candy, Sophia, and Princess Luna! Friday I’ll be showing off Ringer and Dangerous Driver. Earlier this week, I had a big swatch-a-thon with all of these beautiful colors. Everything looked nice in person, however, I’m not entirely happy with the photos for this particular post (I think Friday’s pictures look great though). I already promised this write up for today, and I won’t be home tomorrow, so I wanted to go forward with posting. But I think I’m going to retake some photos this weekend and add them in. First up, we have Cotton Candy! Cotton Candy is a pretty shade of pink, with various sizes and shapes of white glitter- but not a ton of glitter, so it gives the polish a dainty feel. These photos were taken with 2 coats of polish. I only used Cotton Candy for the photos, but I think next time I’ll try layering over a very similar pink (maybe Zoya Lara? 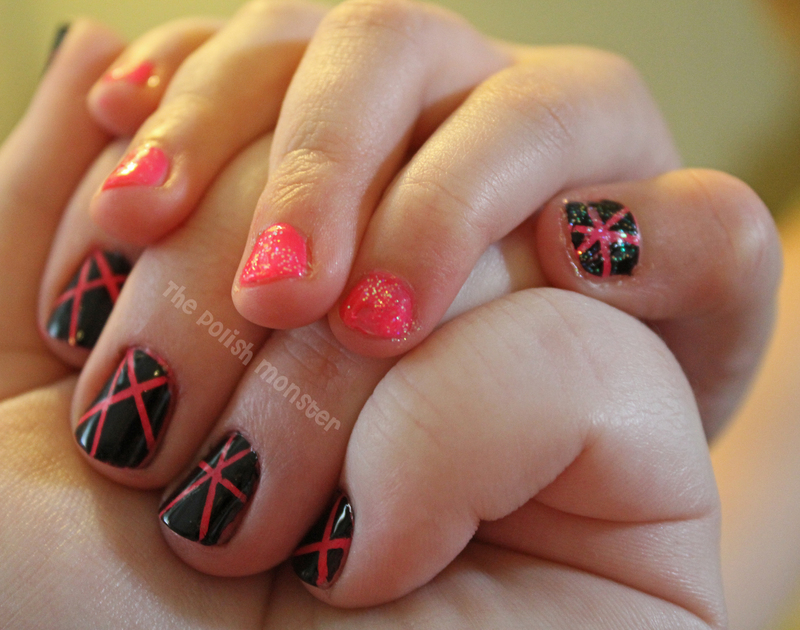 )- since the second layer does cover up the first layer’s glitter almost completely. Either way, you’ll have a beautiful look! Next up, we have Sophia! For Sophia, I opted to use an underwear coat of Love My Nails Electric Blue, with 2 coats of Sophia. Sophia is a beautiful periwinkle blue fine glitter, sprinkled with the occasional gold holographic hex glitter. I had to work to get the ones I did on my nail! I’d say average use would be closer to 1-2 on each nail without any fishing. This color would look beautiful over black or white, and I bet it would look pretty over a red for a patriotic look. 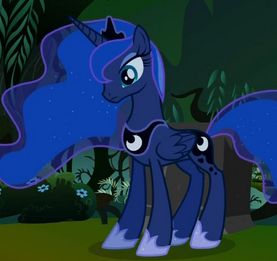 And last but certainly not least, we have Princess Luna! Princess Luna is inspired by the lovely Nightmare Moon/Princess Luna of My Little Pony: Friendship is Magic. I’ve said it before, but I actually recommend MLP even for grownups. Seasons 1 and 2 are available for streaming on Netflix, and they’re awesome. 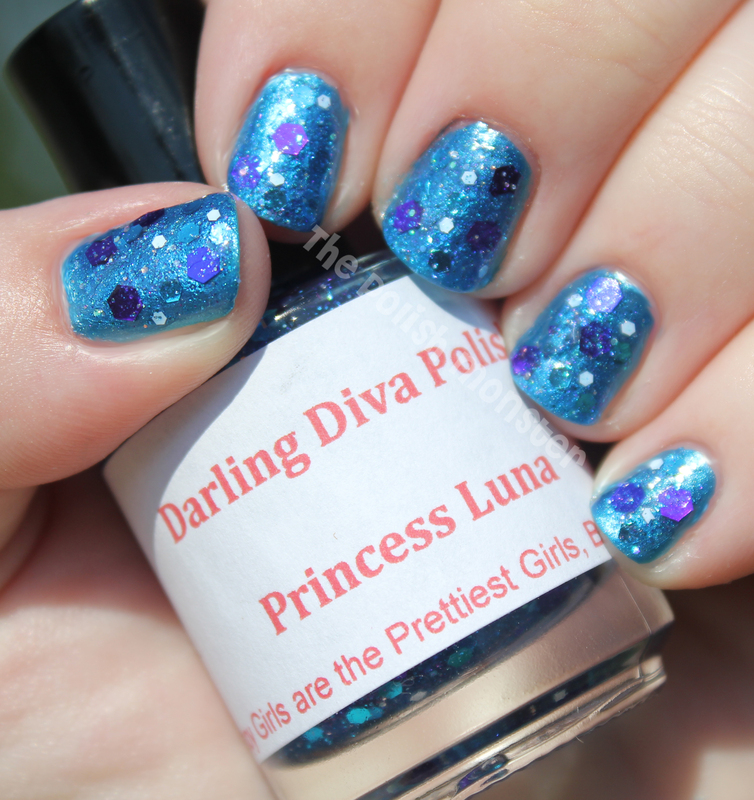 Princess Luna is the sister to Princess Celestia, who is inspiration for another polish by Darling Diva Polish! Much like her inspiration, the polish version of Princess Luna is a beautiful blue, full of sparkles, accented by deep purple and teal glitter, with a bit of white thrown in. Like Sophia, I layered 2 coats over Love My Nails Electric Blue. I placed some of the larger glitters, but I didn’t have to fish for any of these, they came right out to play! I think this is my favorite of tonight’s colors 🙂 But I may be partial due to the reference! Be sure to check her out, and also check back on Friday for Part 2! Ringer and Dangerous Driver are SO GORGEOUS- I’m definitely saving the best for last. You won’t want to miss it! 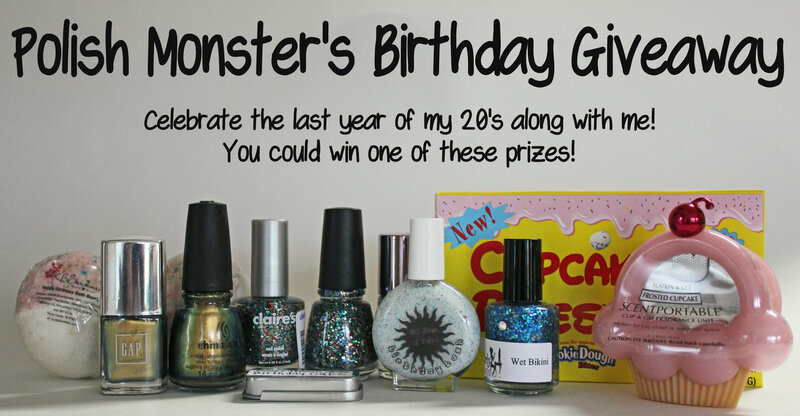 The I’m Not 30 Yet Giveaway! Hello everyone! As promised, today is the big day for my August Giveaway! Many of you know- today is my birthday! I am now 29 years old- 1 more year left in my 20’s! The thought of turning 30 doesn’t bother me yet, but I still like being able to say I’m in my 20’s. And I like giving things away- so what better time than now to combine the two? This is one of my larger giveaways in terms of winners. I have a giveaway planned every month, and most have 3 winners- this one will have at least 7, potentially 8-9. Onto the rules. I’m sticking with my same rules as last time- you need to follow me somehow. Facebook is the best method (I’m fairly active there), but there’s also email blog updates, BlogLovin’ (see the sidebar), and Twitter (Polish_Monster). Just let me know how. Following counts as 3 entries. The final entry is an optional share. This is for 1 extra entry- that way no one feels obligated to share if they don’t feel comfortable (I didn’t like to share on my personal page, so I understand!). If you share via FB- PLEASE make sure it is public so that I can see it. Message me if you need help doing this. I had to throw out quite a few entries because of that last time, and I hate doing that! You only get credit one time- if you would like to share every day that’s great, but it’s only 1 entry. The giveaway will run until next Friday, August 31, at 11:59 CST. Open to international followers, 18 and over (if you’re under 18 you can still enter, provided you have parental permission). Giveaway is CLOSED. Thanks for participating, winners will be announced soon! When I first became interested in nail polish, one of my early favorites was Sinful Color’s Cinderella. I loved the name, the shade, and adored the pink shimmer. I did not, however, adore how sheer it was, or that it took 4-5 coats to build up. Unsurprisingly, I’m attracted to this ‘type’ of color- and I recently realized I have quite a few that look similar! So I decided to compare all 5 that I own in 1 post. Girly Bits Arctic Sunrise, Cult Nails Princess, Models Own Indian Ocean, 365 Days of Color Bora Bora, and Sinful Colors Cinderella. As you can see, none of these are really the same, though a lot have the same qualities. All 5 are blue with a pink color shift- but that’s where the similarities end. Girly Bits Arctic Sunrise and Models Own Indian Ocean are the most similar, with the Models Own being a bit more ‘in your face’ sparkly. 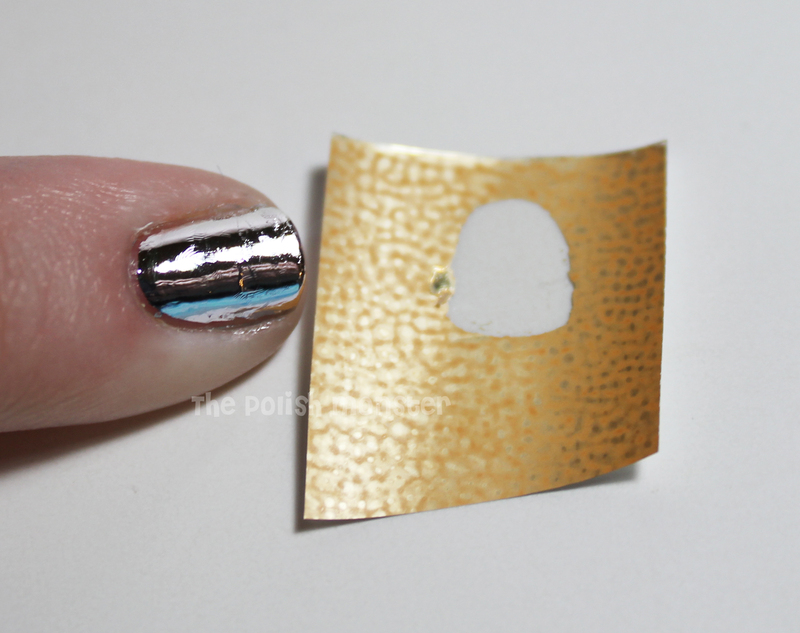 However, Indian Ocean required 4 coats to be opaque (it’s better to layer), and Arctic Sunrise was opaque at 2 coats. Indian Ocean is a bit stinky, as well (not 3-free), for those with sensitive senses. Though it shows a pink shift in the photo, Cult Nails Princess is a bit more of a gold/pink shift. 365’s Bora Bora has the most subtle shimmer, but it’s a gorgeous blue with just the tiniest ‘bling’… it’s one of my favorites to use in combination with glitter layering polishes (see here and here). And then of course we have Cinderella herself. It’s a BEAUTIFUL color- the most baby blue of the bunch, with a pretty significant shimmer. The biggest downside is just how sheer it is… but layered over another blue or white, it works out well. Here’s where you can get each of these pretties! Today I’m going to show off one of the newest additions to my collection: Girly Bits Jelly Shoes! 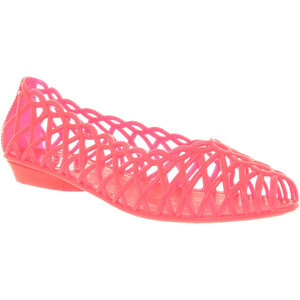 Jelly shoes are a slightly-see through, usually neon, slip on shoe. My favorite version was always pink, so I’m thrilled that the polish holding this name is that exact color! I used 2 coats of Jelly Shoes over 1 coat of Julep Kate (a white shimmer). Next time I may go with nothing underneath, but the white REALLY made this color pop! As you can see, there’s a blue/purple shimmer through the neon pink jelly polish, which is what really makes this color a must-have. 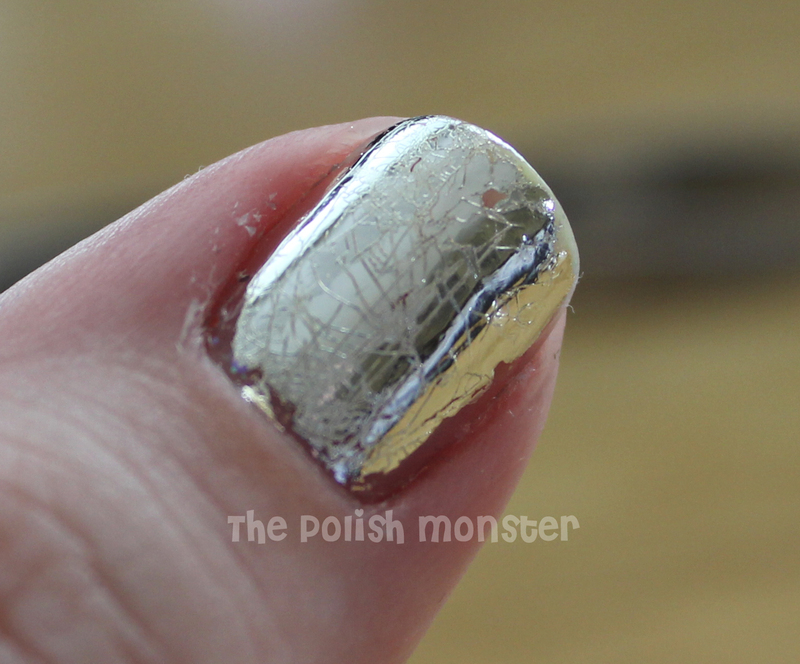 The shimmer is *almost* dense enough to be called glass fleck- at least in my opinion! I made the mistake of taking these photos out in the sun earlier this week, and didn’t review them at the time. I should’ve had a few shade pictures to show you! But in the sun, this color is just gorgeous. These photos are very true to life for the color- it’s really that blinding when you layer it over white. 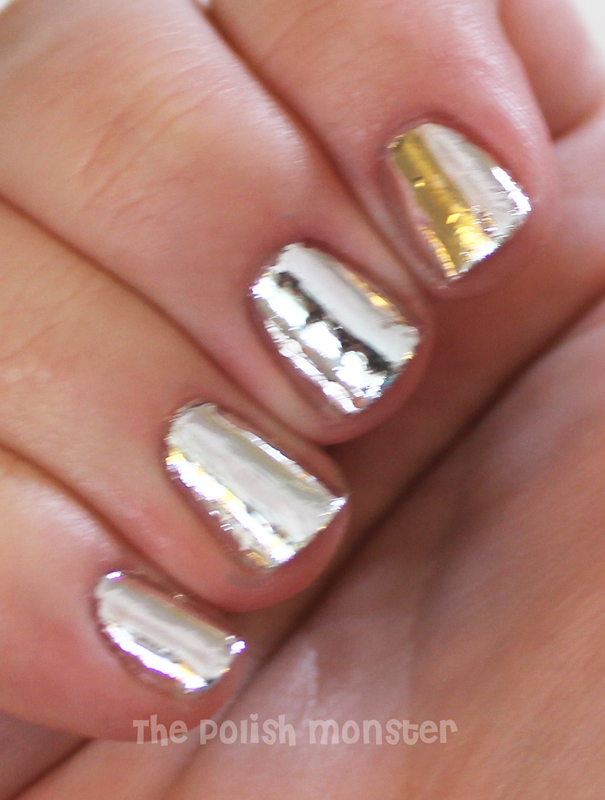 A better shot of the shimmer for you! Application was awesome, and I am absolutely in love with this color (as well as Arctic Sunrise, which I also bought… that will be featured tomorrow with some others!). Pam is SO sweet and I really highly recommend ordering from her!! She also sells Franken starter kits with some bottles, base and a choice of glitters if you’ve ever wanted to make your own colors, as well as solvent resistant glitters and of course her beautiful polishes. The *only* downside in ordering (if you’re in the US) is that Girly Bits is in Canada, so shipping takes a bit longer when ordering directly from Pam (they’re worth the wait, but it’s something that needs to be mentioned). However, you can also purchase her lovely polishes from Llarowe and Harlow & Co– so international ladies can absolutely enjoy the pretties too! Girly Bits can be purchased directly from Pam on Big Cartel, and you can keep updated on news by liking her Facebook page. Most people are familiar with Girly Bits, but if you’re not be sure to check it out, you won’t be disappointed!